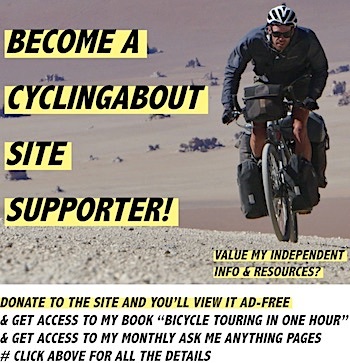 Those readers who are into the bike and equipment aspect of CyclingAbout are probably wondering how we ended up choosing a Co-Motion tandem touring bike. 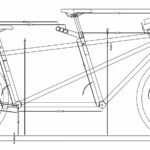 We actually plan to guide you through the process of buying a tandem bike over a series of articles, but for now let’s look at why it all started with Co-Motion. Co-Motion have a rich history in building tandems and taking part tandem events. 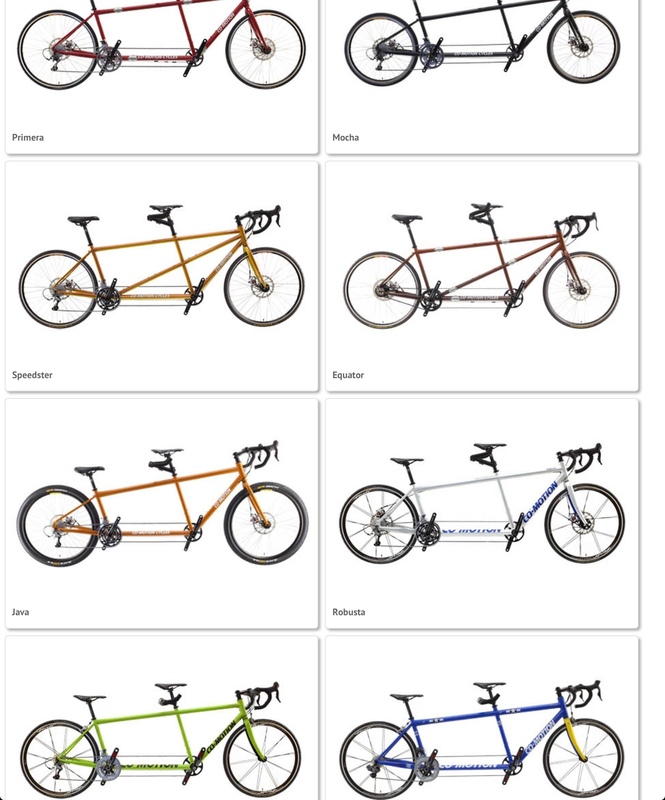 If you search the Internet, or look at the paint options on their website, you’ll find a really high number of their tandems getting about. The fact that they have been involved with tandems for so long inspires a lot of confidence in us. We admit it – we are also complete novices when it comes to tandems. I have spent less than a month thinking and researching anything tandem, so we are keen to use Co-Motion’s wealth of knowledge to build up our own. We are aiming to know and share everything tandem along the way, so make sure you follow along. 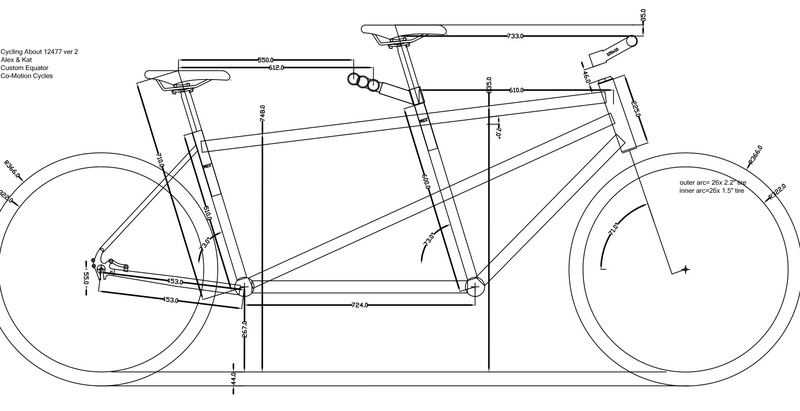 I am 198cm tall (6ft6) so I use either use the biggest frame size a bike manufacturer will produce (if it’s big enough! ), or I have to buy something custom made. This is one of the biggest factors for selecting a company like Co-Motion, as we get a custom product tailored specifically to our body dimensions. 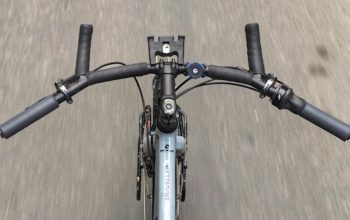 For us this is a necessity, but most people actually benefit from custom geometry (especially top/head tube length and seat tube angles) on a touring bike. We also have a swag of parts from our current touring bicycles which we would like to use on our tandem build. Co-Motion are able to build to our specific chainstay length (so that we can use our current belt drivetrain), build to our preferred wheel size, add bidon bolts to locations we choose, put cable-routing tabs in the right locations for our brake and gear cables, and add v-brake bosses to what would normally just be a disc brake frame. 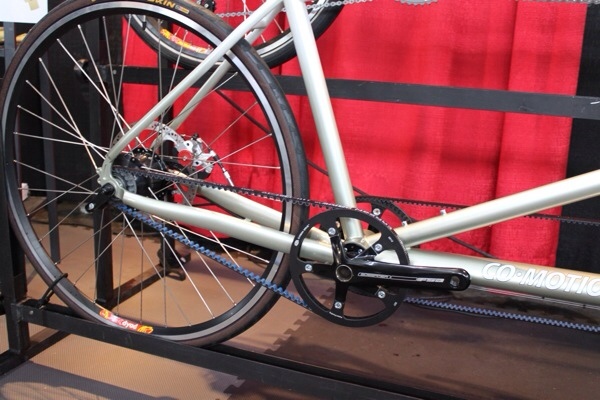 Like us, Co-Motion have adopted the use of Gates Carbon Drive Systems to power their high-end touring tandems. We have ridden the Gates Centertrack kit for thousands of kilometres under various conditions and are yet to have an issue. 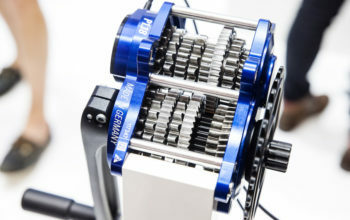 Co-Motion also build Rohloff hub specific frames, which as you’re probably aware suit us well. 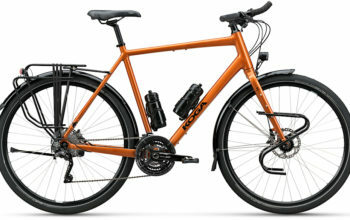 Co-Motion build all of their tandems with disc brakes for the extra stopping power required to pull up a bike this heavy. 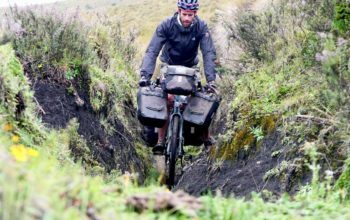 I would normally not suggest that disc brakes are a necessity on a touring bike, but on a tandem as heavy as ours – they almost are. We are actually planning on using our v-brakes on our tandem in the short term (but switching to disc in the long term), specifically so that we can utilise our current front wheel and brakes. Luckily our Rohloff hub is disc compatible, so in addition to the v-brakes, we will run a rear disc for the times when we really need it. Co-Motion were right for us. 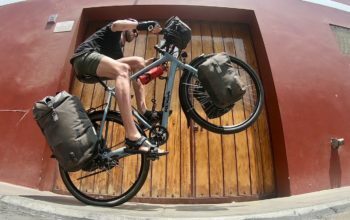 They offered us their extensive experience, vast knowledge, part-compatibility of our favourite gear and sizing to get this tandem show on the road. Like anything custom, it comes at a cost that most would never spend on a bike. We are lucky enough to be able to afford this bike for the first and (hopefully) only time. For us, this is our transport for the next few years, and hopefully many years after. 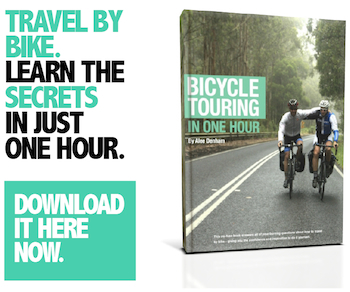 If everything works out the way we think, this bike will ride more roads around the world than almost any other. Disclaimer: We approached Co-Motion and as a result were given a good price on our new frame and parts. What we ordered is no where near free… infact it has cost us roughly an arm and a leg! Just to let you know though, genuinely chose Co-Motion for the above reasons.